It’s a tough job market for college graduates, but far worse for those without a college degree. That’s the main finding of a new report based on a study by Georgetown University’s Center on Education and the Workforce. 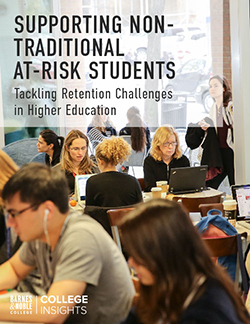 According to the new report, The College Advantage: Weathering the Economic Storm, workers with high school diplomas or less were impacted the most by the recession’s job losses. With skyrocketing college tuition and fewer job prospects for those who do graduate, many are questioning the benefits of a college education. Is a college degree still worth it? 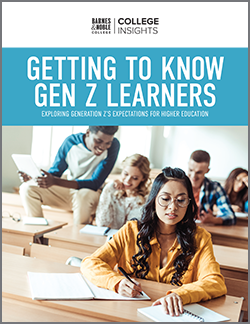 The new report — which analyzes the effects of the recession and recovery by education level, gender, industry, and occupation — paints a very clear picture. 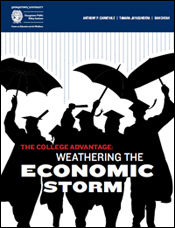 For more information, read the full report, The College Advantage: Weathering the Economic Storm.